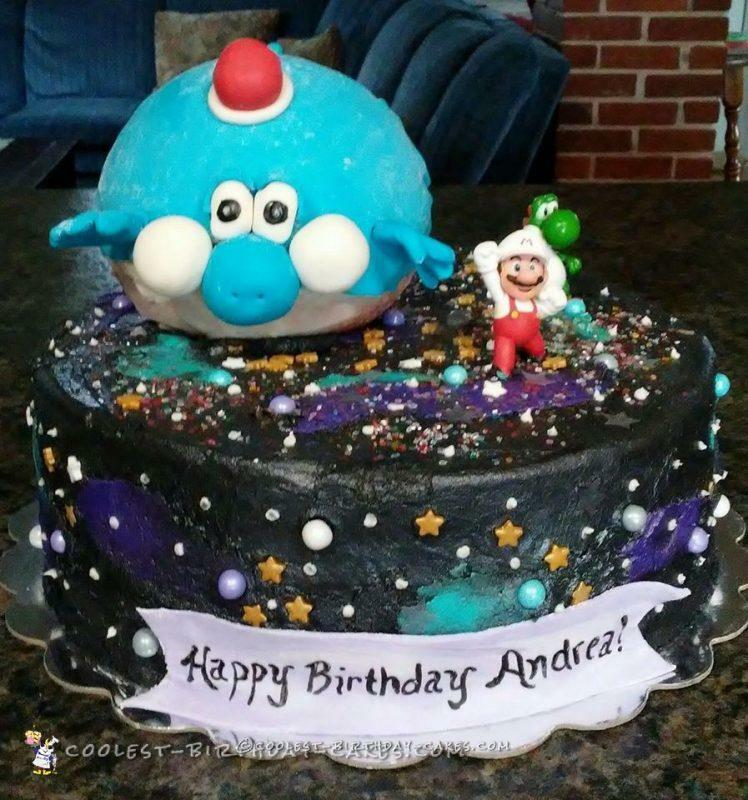 My daughter wanted a Super Mario Galaxy birthday party. I had to get creative with the party because they do not have this specific Mario theme of party supplies. Yoshi was made out of a Wilton Ball pan. I covered him with fondant. 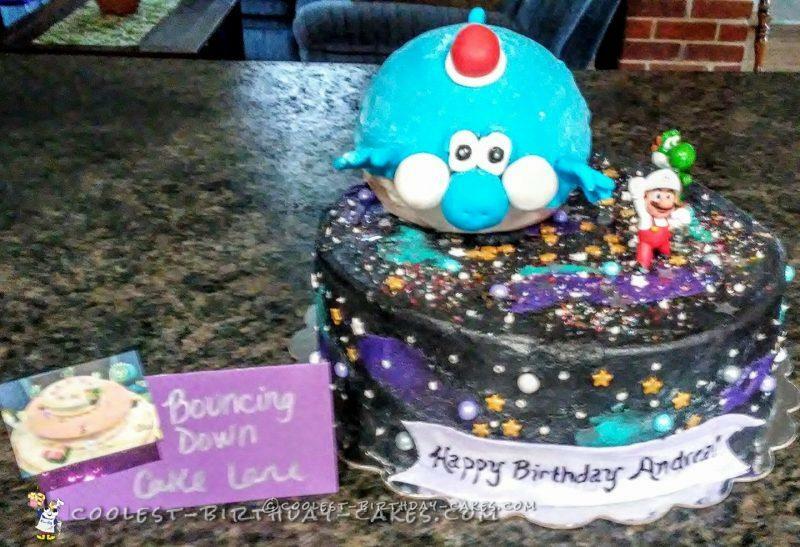 The cake is black buttercream and I smeared some purple, turquoise, etc onto it to make the galaxy design. I added a variety of sprinkles to it. She loved it and response has been amazing!